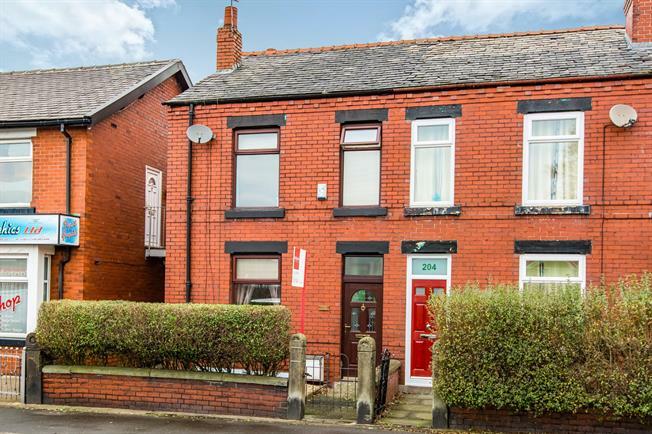 3 Bedroom End of Terrace House For Sale in Chorley for Offers Over £100,000. Spacious garden fronted end terraced home located in a much sought after residential area of Coppull close to the countryside where you can take advantage of Yarrow valley country park, Birkacre lake and numerous countryside walks, this is a must view property to appreciate the living space on offer, internally the property briefly comprises of an entrance porch through to the lounge, spacious dining kitchen with utility area which has access to the enclosed rear garden. Moving upstairs you will find the family bathroom and three bedrooms. Ideal first time purchase or investment.